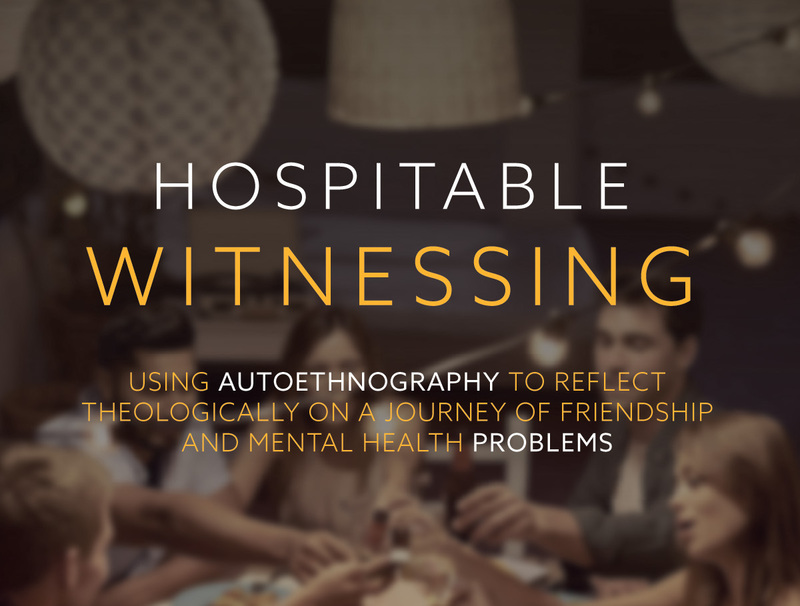 Priscilla Sun Kyung Oh, Practical Theologian, just published a new book called Hospitable Witnessing: Using Autoethnography to Reflect Theologically on a Journey of Friendship and Mental Health Problems, with a foreword by John Swinton. Drawing on her own experience of befriending a person suffering from a long-term mental health challenge, Dr. Priscilla Oh reflects on the meaning of care and friendship theologically. Using autoethnography, she goes beyond the personal experience and examines various issues surrounding mental health. Hospitable Witnessing candidly takes readers into the everyday life of being with a mentally ill person. There are emotional challenges and contingencies in sustaining friendship and caring for a person with a long- term mental health problem. Oh points out that those who care for a loved one during a long-term illness inevitably experience “burnout” resulting from the constant care requirements. Under such an enormous disruption, we need to be compassionate toward another’s suffering and be willing to be present and available for them. This book suggests our need of one another and identifies three important Christian practices: caring as we are being made in the image of God, compassion as being present with the sufferer, and lament as to revitalize our faith and hope. Priscilla Sun Kyung Oh is a practical theologian and author. After her formulative studies in Gordon Conwell Theological Seminary, Massachusetts, USA and her PhD at the University of Aberdeen, Scotland, UK, her research became focused on stories of people with mental health problems and how practical theology might help them. Recently, she began to explore the idea of identity formation practice for people with dementia and their families. Founded in 2007, the Network for Ecclesiology and Ethnography is a growing international group of scholars committed to the empirical and theological study of the Christian church. Copyright © 2019. All Rights Reserved. The Ecclesiology and Ethnography Research Network.